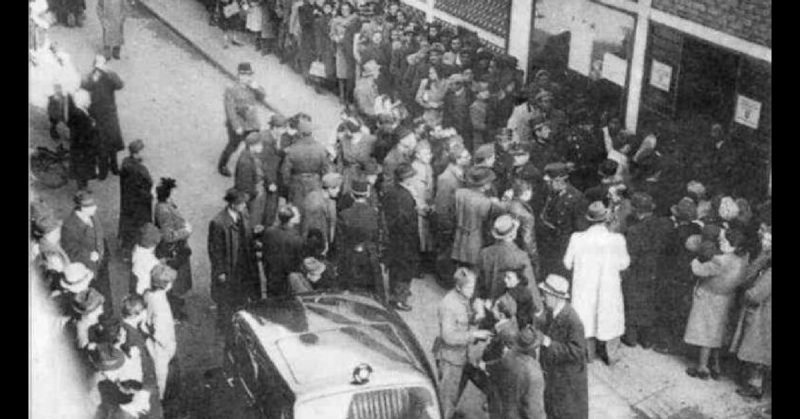 During WWII, many did what they could to save Jews – including the Latino Schindler. José Arturo Castellanos Contreras was born on December 23, 1893, in the city of San Vicente, El Salvador to a rather well-to-do family. In 1910, therefore, they sent their 16-year-old son to the prestigious Escuela Politécnica Militar (Military Polytechnic School) where he spent the next 26 years in the Salvadoran military and became a colonel. After becoming the Second Chief of the General Staff of the Army of the Republic, his career changed. He accepted the post of Salvadoran Consul General in Liverpool, England in 1937. The following year, he was reassigned to Hamburg, Germany. Contreras had not chosen his new career path. He had been a critic of Salvadoran President Maximiliano Hernández Martínez who rose to power in 1931 in a coup. Martínez ran a fascist regime that executed thousands of dissidents. Given his position in the military and his family connections, however, killing Contreras was not a good idea – Martínez did not want any more enemies than he already had. Sending Contreras far away from El Salvador was much better. Contreras was not happy at finding himself in a new fascist country. Nor was he pleased with how minorities were being treated. Unable to do much back home without putting his family and himself at greater risk, things changed for him on November 9, 1938. 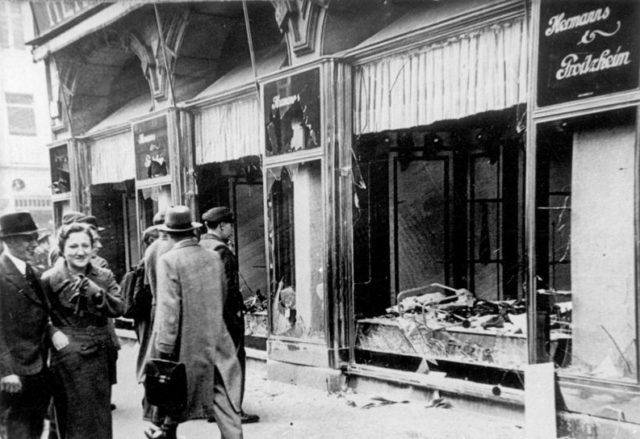 It was Kristallnacht – the Night of Broken Glass. Before then, Jews had been regularly harassed, but people thought it would fade out. For the next two days all over Germany, Jewish buildings were attacked, while many Jews were either beaten or killed. Some 30,000 Jewish men were arrested and became the first thrown into concentration camps. 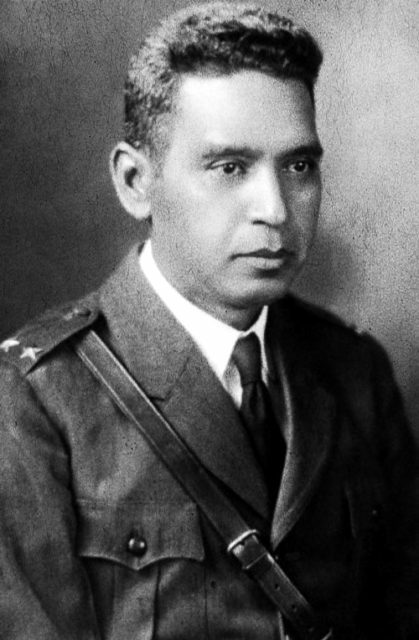 Maximiliano Hernández Martínez, El Salvador’s President from December 1931 to May 1944. By the time it ended on November 10, over a thousand synagogues had been burned and more than 7,000 Jewish businesses had either been destroyed or ransacked. Even the most optimistic realized that things had reached a turning point, and they were right. 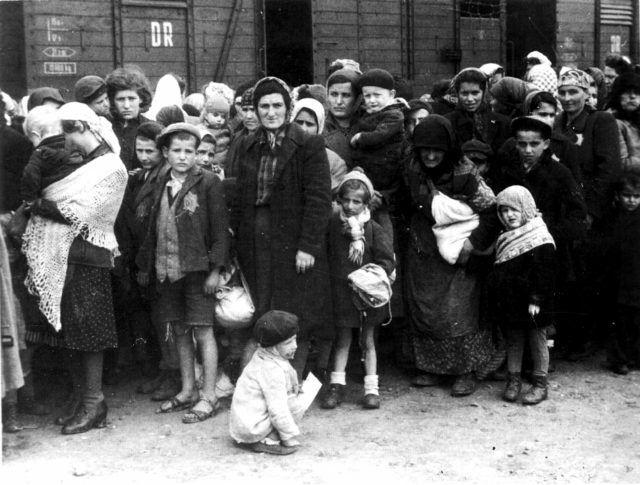 It was the beginning of the Final Solution – the program to exterminate Europe’s Jews. Horrified, Contreras wrote a letter on January 2, 1939, to Miguel Ángel Araujo, El Salvador’s Foreign Minister. In it, he described what was happening and asked permission to give visas to any Jew who wanted to leave Germany. His request was refused. El Salvador had its own problems, and the last thing it wanted or needed was to rock the diplomatic boat with Germany. Nor was it the only country that felt that way; the US and Britain turned away Jewish refugees. Fearing Contreras might just rock the boat, anyway, he was reassigned to Geneva, Switzerland in 1941 which was a neutral country. 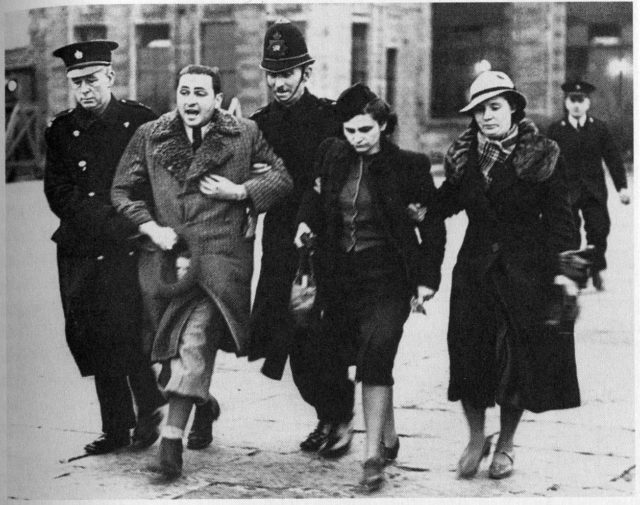 Polish refugees at Croydon Airport being deported back to Poland by British police in March 1939. 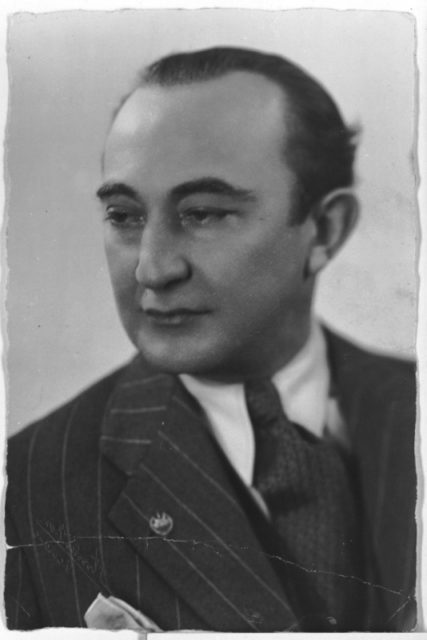 Enter György Mandl. He was a Jew born in Lekence, Transylvania. His country had switched sides three times in the 20th century between Hungary and Romania. He had moved to Bucharest (in Romania) where he opened a textile company. He thought he would be safe as Romania had been neutral since WWI, but he was wrong. The National Legionary State took power on September 6, 1940, and they did not like Jews, either. They allied with Germany, and on October 8, some 500,000 German troops were welcomed into Romania with predictable results. Romania’s Jewish pogrom began on January 20, 1941. Mandl and his family fled to Switzerland where he met Contreras. Although Switzerland was neutral, it had strict refugee laws. Having a border with Germany, it was also wary of upsetting its more powerful neighbor. The Mandl family risked deportation. Contreras made Mandl a Salvadoran citizen and changed his surname to “Mantello.” It was illegal as the El Salvadoran Government knew nothing about it, but it saved the Mandl family from deportation. What of the other Jews who could not make it to Switzerland? Contreras again appealed to his government for visas, but they refused. Fortunately, Carl Lutz had the solution. Lutz was the Swiss Vice-Consul in Budapest, Hungary who gave out Swiss Safe-Conduct papers to Jews and opened safe houses for them. As the Nazis were bureaucratic, they believed the documents were genuine. The Swiss government (officially) did not know about them. Lutz also worked with other diplomats who came up with their own versions of Safe-Conduct papers. Mandl-Mantello and Contreras had theirs. 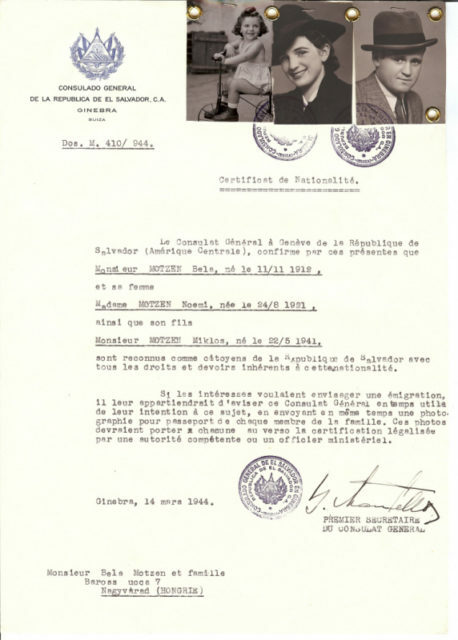 In 1942, Mandl-Mantello became the First Secretary of the El Salvadoran Swiss Consul; a position that does not exist. 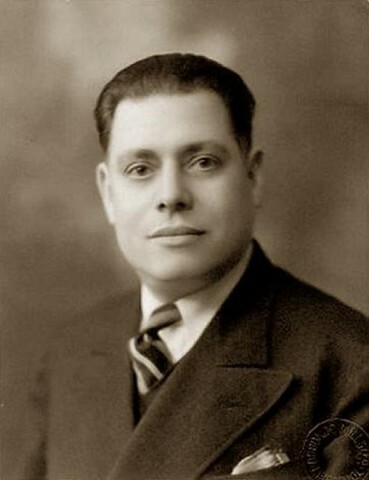 He issued El Salvadoran citizenship papers to Jews in Eastern Europe. As most of them could not reach Switzerland, he mailed them. Some 13,000 citizenship papers were issued to entire families. Bulgarian, Czech, Hungarian, Polish, and Romanian Jews became Salvadorans. The documents granted holders protection under the International Red Cross and the Swiss Consul in Budapest. When Germany invaded Budapest in 1944, blank sheets were sent out to Jewish families throughout the city with instructions to stick on their own pictures and fill out the information by hand. Fortunately, Martínez was ousted and fled El Salvador in May 1944. Even more fortunate, the new government was sympathetic to the plight of Europe’s Jews. They, therefore, asked Switzerland to recognize their new Eastern European “citizens” and extend diplomatic protection to them. With that added legal layer, thousands were saved. After the war, Contreras did not talk about his role in saving so many lives. He died in 1977. Yad Vashem recognized him as one of the “Righteous Among the Nations” in 2010.